The suggestion that Bazan doesn’t anguish over his music, instead focusing on his lyrics, is so wide of the mark it’s hard to measure. But this is clearly a man with a message that’s a driving force in his work. That message has taken a big shift, certainly, but it’s remained the central point. To that extent, a David Bazan album can be a bit of a listening chore. If you don’t always love those reverb-inflected vocals, and if the mix gets too thick — you’re not alone. But the beauty of Strange Negotiations, like other works from Bazan, is that a full listen really is worth the time it takes. It’s not entirely refreshing, and at times it can be taxing, but it’s somehow rewarding. Is it being bombarded by messages for 40 minutes that does it? There’s more than that, certainly. The mix isn’t perfect, and there’s just a lot of the same, musically. But when, nearing the end of the album, you get a treat like the title track — that’s when it’s worth it. The man, his harmonies, and that gentle demeanor coming out in the music — it all comes together, and it’s not just by luck. No, it’s more than dumb luck. David Bazan’s done it again, and again, and again. His albums open strongly, the middles seem to plod on a bit, but the ending bits leave the album demanding another spin. Strange Negotiations’ closing track, Won’t Let Go, an almost Ray Bradbury-esque piece of haunting beauty, closes the album on that indelible note. Finally, a properly thorough approach to David Bazan’s latest outpouring wouldn’t be quite complete without mentioning that now well-documented move from a (vaguely) proselytizing Christian to a full-blown atheist. While Strange Negotiations lacks the outright affront against much mainstream religious thought, it’s not without its moments of public criticism of his once-held faith. In that way, this is an album that’s more lyrically subtle than Curse Your Branches, and in that same way, it’s sounds a deal less angry. Of course, we still have lines like, “Wake up in the morning / Check your revelation / Make sure you know it as well as you can,” in Level With Yourself. 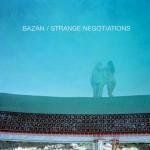 It’s clear that Strange Negotiations is not a wholly secular piece, but Bazan is clearly moving in that direction.